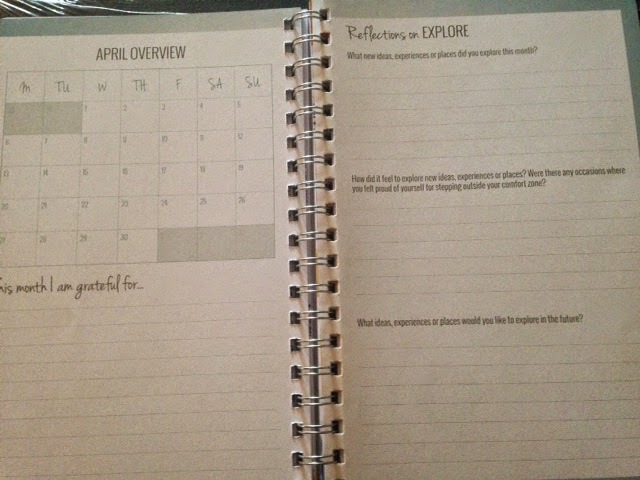 I have been a fan of Dani’s for awhile and when she first started telling her readers that she had created a planner, I knew I was going to love it….and I do! 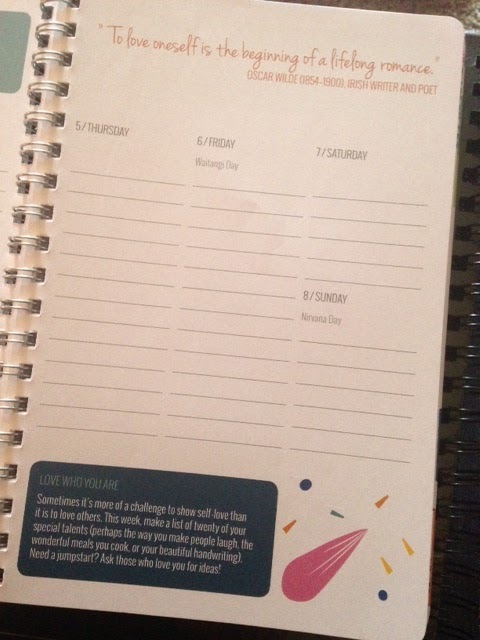 This calendar offers plenty of space to add appointments, to do lists, and goals with a jolt of positivity on each page. Each week offers a two-page spread with plenty of space for the day’s appointments or lists. I use mine as a daily planner. So I have our daily schedule on there including my appointments and the kids’ activities. But I also use it as my blog planner. I struggled last year having a separate blog planner and life planner because I was constantly checking back and forth to see what I had coming due and what was going on in our life. This way, everything is together in one place. Each week shares a positive quote as well as a action item that relates to that month’s theme. For example January’s theme is Organize. Each week’s quote relates to being organized and each week’s task relates to accomplishing a goal towards organization. At the end of each month you will see a monthly calendar as well as spaces for reflection. Here you can write down how your thoughts on accomplishing the monthly theme tasks, those things you are grateful for, and plans for next month. The calendar pages start on Monday (both weekly and monthly) which messed me up a couple times. But, now that I have been using it for a week, I think I am used to it. I love the bright cover and each week makes me happy with her quotes and positive nudges to accomplish the tasks at hand. 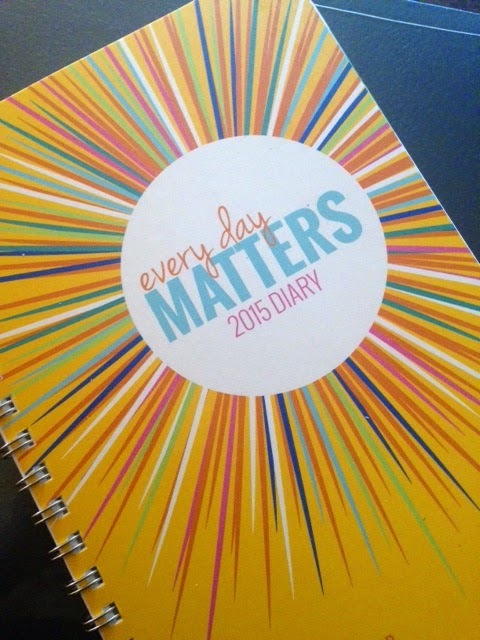 Dani also offers a pocket diary size for those that like to have one that fits in a purse. I am quite happy with the size of my calendar. I love that it is spiral bound and easily folds back or lays flat while open. The one I am using is 9.8 x 6.7 inches. If you are looking for a daily planner, I highly recommend EVERY DAY MATTERS and I also recommend you check out Dani on her blog, HERE, for daily positive affirmation. I purchased this planner on my own. This review contains affiliate links.